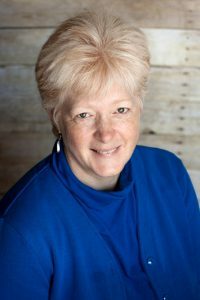 Robin Beardsley is a Family Physician Practising in Psychotherapy, working in Ottawa for almost 30 years and has decided to move into full time counseling and teaching; inspired by what she has learned over her life’s journey. This journey started with my amazement of the human body; it seemed so miraculous to me in how it functioned. I found Biology to be very exciting in high school, so much so that I enrolled in Kinesiology (the study of human movement) to learn more about this amazing body of ours. When the possibility of medicine arose I took the plunge and applied. Even though medicine was difficult I loved being with people. When we finally got to the hospitals and actually did patient care, that is when I started to thrive. There was a person behind the illnesses that we had been studying so diligently about! I became interested in the resiliency of people and was inspired by all that I had seen. Much of our training was based on a biological-physical view of disease. In my family medicine residency training we looked at the psycho-social issues that impacted a person and their illness. As a seasoned physician I started to recognize and be more curious about how our psychological and spiritual states influenced our vulnerability to disease and how they impacted the course or final outcome of disease. While we cannot say our emotional state causes illness we do know that illness can be impacted by this same emotional- spiritual state. I was so curious to see how resilient some people were while others were not. While in my residency years I was introduced to Virginia Satir’s work. She was a pioneer of Family Therapy, seeing families before it was the “in” thing to do. She could see how family systems interacted and impacted a person’s physical and mental health. As I started doing my Satir therapy training I was reunited with “me”; the human part of me that connected with others on a spiritual emotional level. I became more curious about this Spiritual essence and Life energy that she referred to in her teachings. 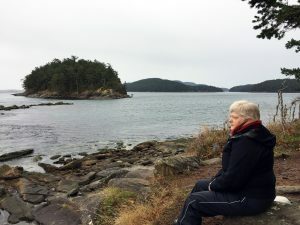 I started experiencing myself as I once did with wonder and awe; I had more moments of stillness and clarity of how similar, yet unique we are in our relation to our suffering and triumphs. I had some answers to my curiosity about this human resiliency. There came a time in my life where I experienced burnout and it was at this time that I discovered the practice of Mindful Self-Compassion. I was also drawn to the research on the brain and the clearer understanding of our stress response and its impact on our bodies, mind and spirit. I now see that is was a part of me that held my empathy for others that was trying to cope with what I had seen and experienced. That part of me was fatigued and feeling stressed and overwhelmed; my essence and compassion were still very present. The concept of loving kindness and self-compassion helped me to feel more whole and resilient in the face of struggles. I am more able to give myself some of the compassion I had been giving others and feel more alive and hopeful. I have always had an interest in “care for the caregiver”, although I only came to realize this later on in my medical career. This passion of caring for others; I once thought was about saving them from their pain. Yes, medicines can help ease suffering, but they don’t always take it away. We have such an inner strength and resilience which is not always recognized. Being present and witnessing others as they open up to their possibilities is truly inspiring to me. My own life’s journey has brought me to a place of increased self-awareness, self-care and gratitude for my own and other’s resilience. I feel honoured to be able to connect with and guide others on their journey as they discover their way from striving to thriving, as they discover their inner strength, resilience, inner wisdom and compassion in their lives.